Kitchen sink is one of those things that you can’t do without. It’s not by any means a decoration but an absolute essential. 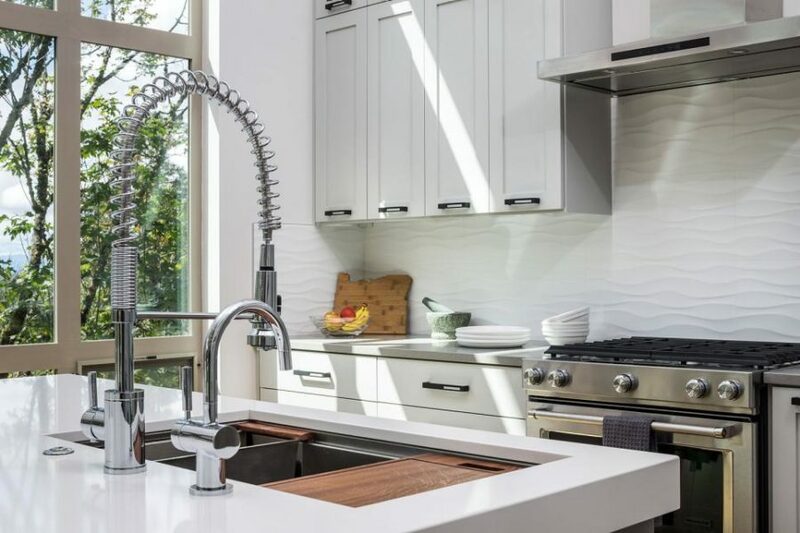 Modern kitchen sink designs come in all kinds of shapes, sizes, and materials to not only accommodate your everyday needs but also become a nice decor accent in the kitchen. And while custom sinks will always look more resplendently incredible, manufactured designs usually provide more functionality. It’s not to say that you won’t be able to find a sink for your budget that will also look ideal in your cook room, though. 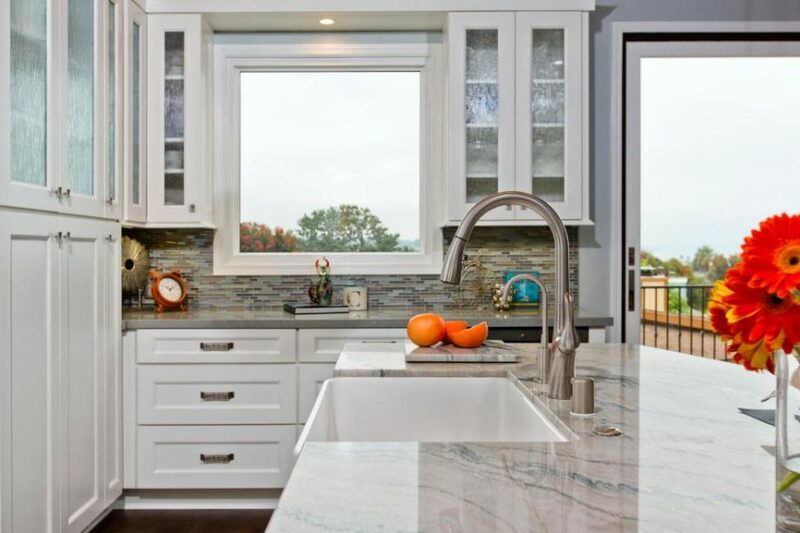 Undermount sinks seem to be most popular in modern kitchens because they make for that sleek aesthetic for which contemporary style is known and loved. 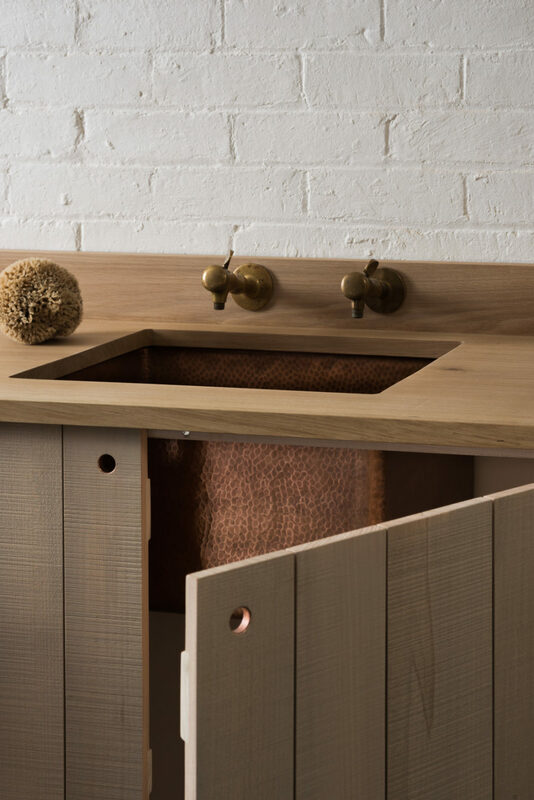 Though such a sink doesn’t attract much attention, being mostly hidden within an island or cabinet, it may create a beautiful color contrast with the countertop. Kapito Muller Interiors played with the black and white contrast, throwing golden brass details into the mix. The result is a gorgeous, stylish kitchen. Jute went for a different contrast but also used the metallic finish to create a nice combination. Here, the white goes well with both chromed faucets and matte sink. 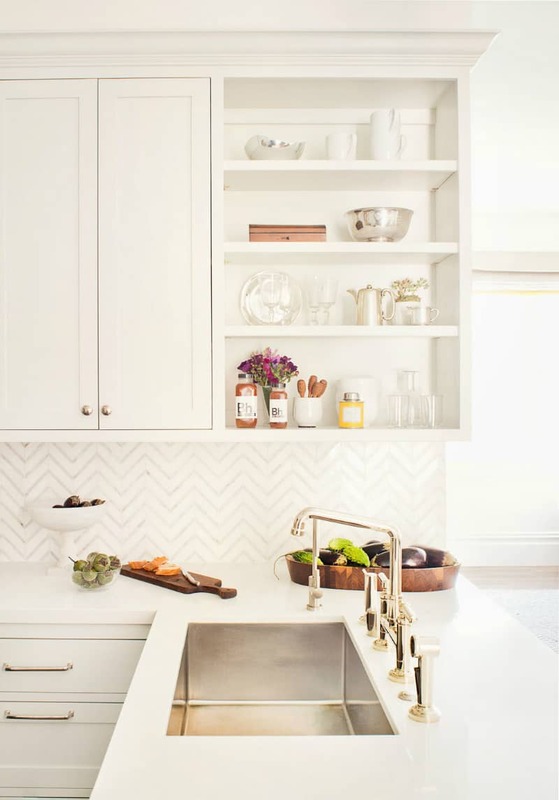 Chevron backsplash tiles accentuate this general color scheme, and gives the picture a more eye-catchy detail. Modern kitchen sink designs often come with additional accessories that can be most useful like shallow basins and chopping board covers. 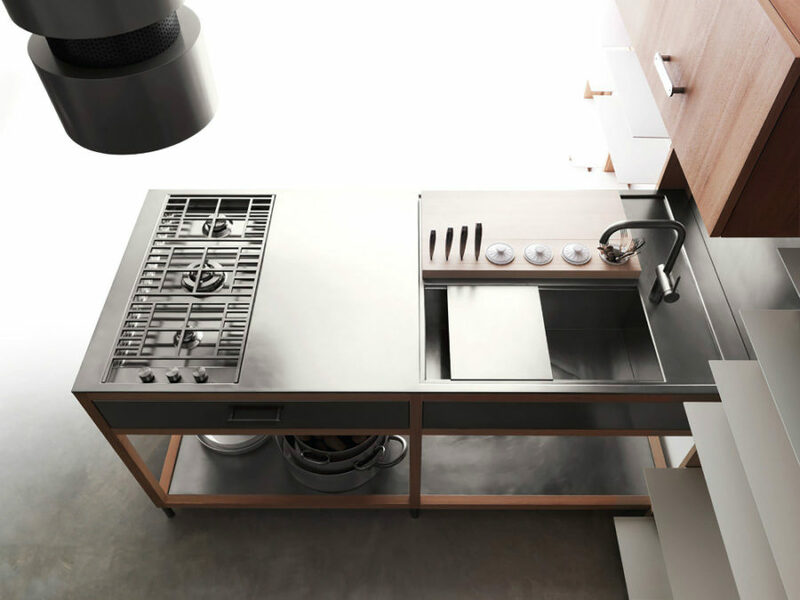 Lando Convivio modular kitchen features the latter, adding more surface to the small working space. Corner sinks are great because they allow to utilize every inch of space in a small kitchen, adding functionality to an awkward angle that would otherwise look empty. Metallic sinks don’t only look sleek and contemporary but they are generally easy to maintain. That’s why they’re so popular. Virtually immune to staining, their only issue maybe scratching, if you aren’t careful during cleaning. Weathered brass is less commonplace than stainless steel, but there is a good reason to try it out. It already looks worn but in a pleasant way, and it’s something different. If you are set on giving your kitchen that rustic modern allure, this and copper would be ideal choices. The beauty of stainless steel is that it’s easier on the wallet, and it goes well with any kind of material. Wood – check, concrete – check, weathered wood, Corian, granite, and even marble can withstand the cold of stainless steel. 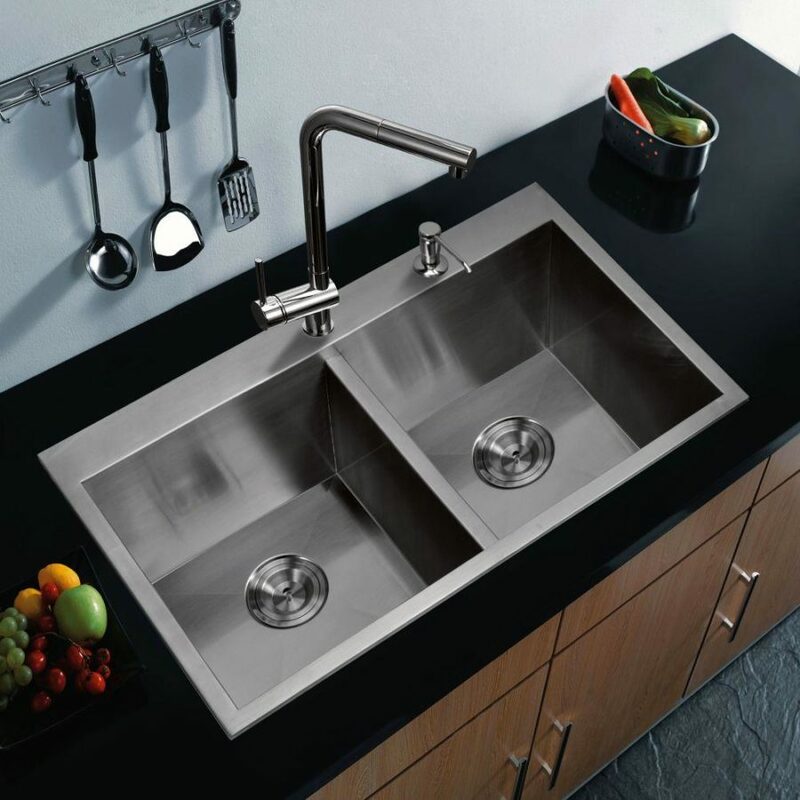 A modern stainless steel kitchen sink is usually a rectangular deep basin with a sleek faucet. There are many variations on the theme, though. 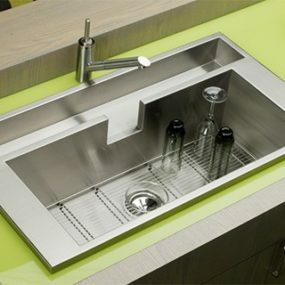 Some stainless steel sinks may look too plain, too utilitarian. Jasper Morrison solved this problem by covering it up with a wooden lid shaped to fit it perfectly. This is also the best idea for countertops that are just too small to have the luxury of a permanently opened sink. Double-bowl steel sinks are also an industry standard, and why wouldn’t they be? 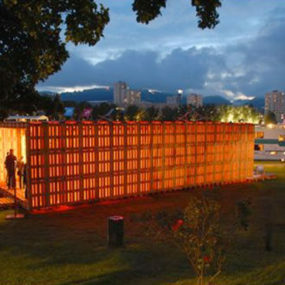 Convenient, sleek, and contemporary – they do what they have to, and don’t cost as much. 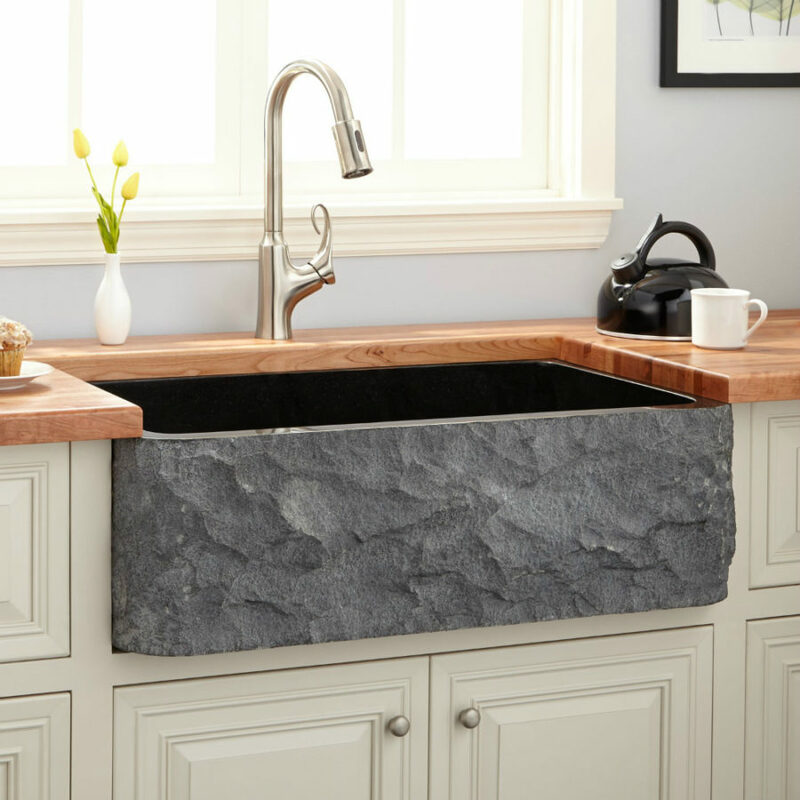 Farmhouse sinks are as popular as ever. 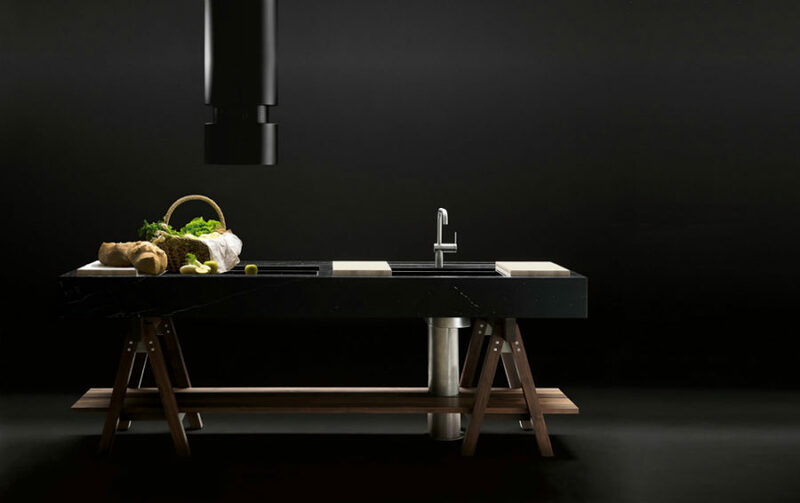 Breaking the continuous flow of a countertop, they protrude forward to announce their presence, and bring a bit of a rustic vibe to the place. Farmhouse sinks aren’t plain white anymore. There are just too many materials out there for them to stick to that and not evolve. And evolve they did. 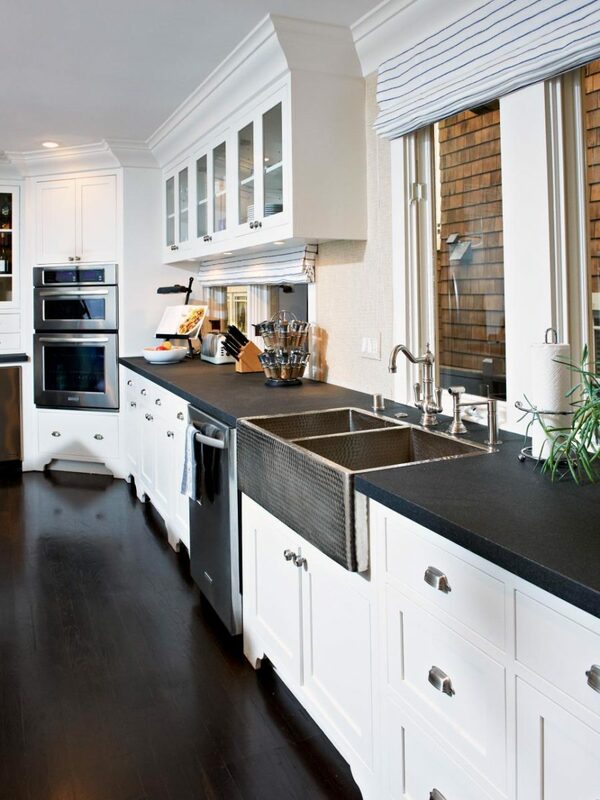 Take a look at the hammered metal sink with double basins in a kitchen designed by Kari Arendsen. It’s a perfectly modern accent with just a hint of traditionalism. 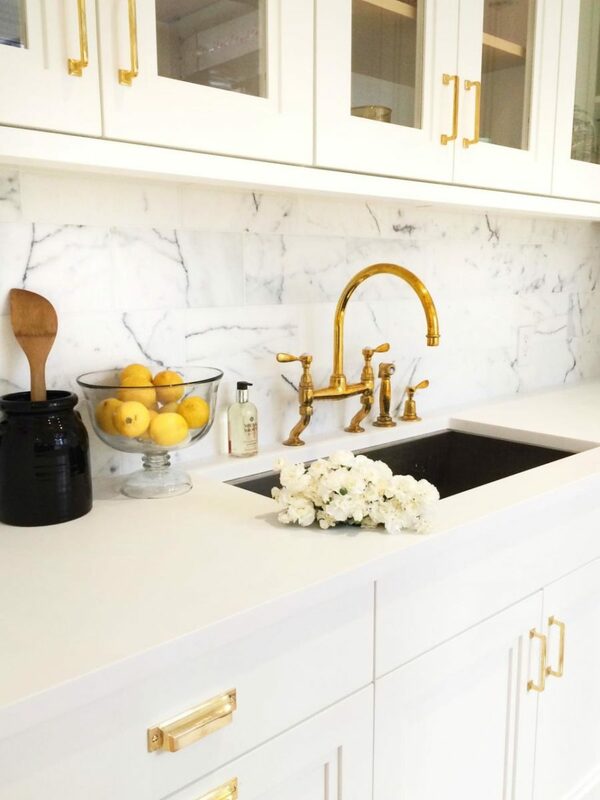 If you want to stick to plain white, it’s your call, but you can really give it an update by adding brass details like a faucet and cabinet handles. Together they lean towards rustic modern rather than completely old-fashioned and traditional. 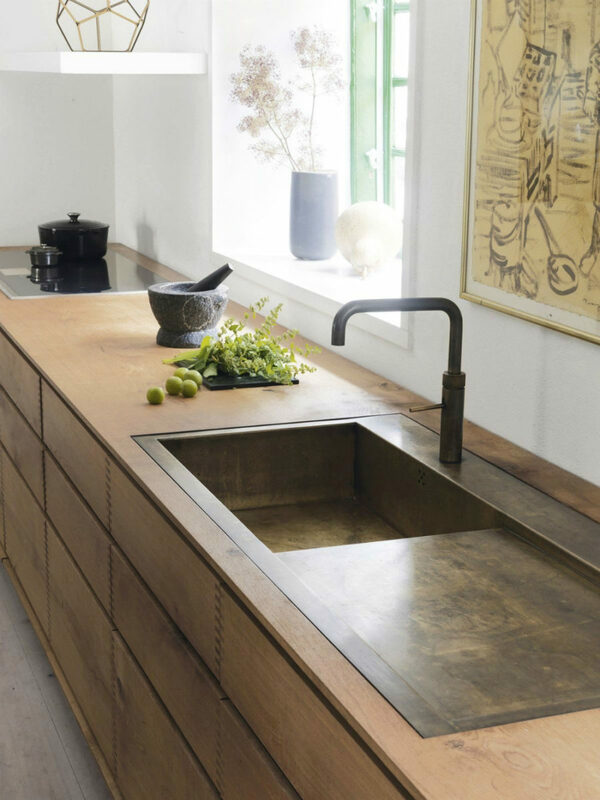 Many farmhouse sink designs are hefty things, but there are exceptions. And if your countertops are thin, you may need to opt for a basin with thinner walls. 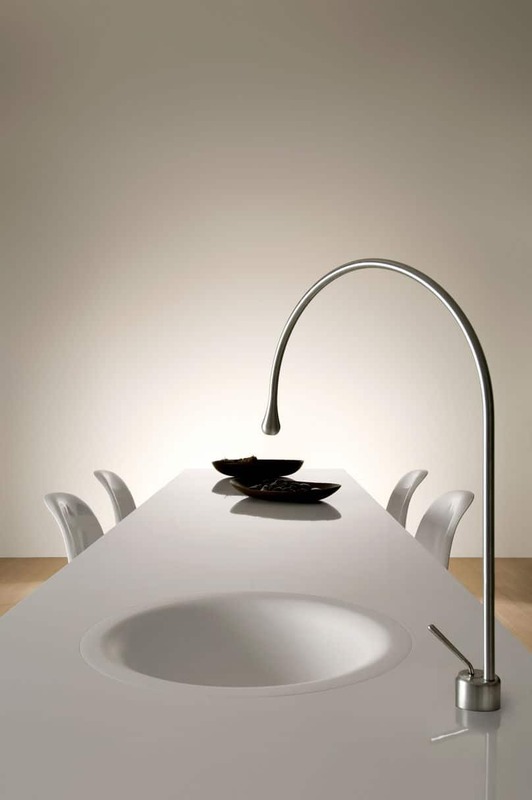 How elegant does it look, especially with a shapely contemporary faucet? Litchfield Countryside Retreat by Chango and Co.
A double farmhouse sink made of stone is something completely special. It can look both modern and traditional, depending on the interior, but it will always stand out as a strong focal accent. 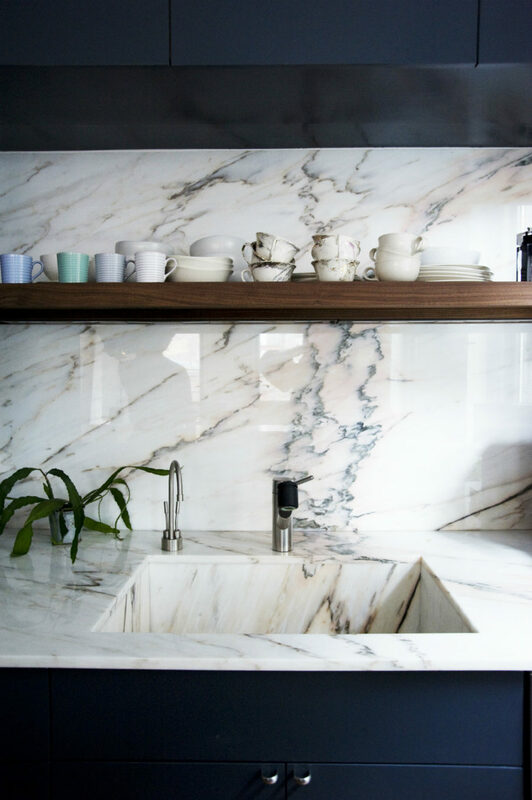 Speaking of stones, marble is arguably the best looking of them all, and it makes for a perfect material for a beautiful kitchen sink. Only it isn’t, if you don’t like high-maintenance design. Marble is porous and so is prone to staining; you’ll need to keep an eye out for regular maintenance. On the other hand, it looks incredible. It never looked as modern. So if you aren’t an avid cook, it may be the right kind of splurge. Even though stone is thought of as a rigid material, it can succumb to the sculptor’s hand. It can equally succumb to artists and professionals who specialize in crafting oddly-shaped sinks. The fish shape seems fitting with the blue marble, and looks rather special. Built-ins aren’t limited only to storage. Sinks and entire parts of certain rooms can be built-in, and still look nice and dandy. 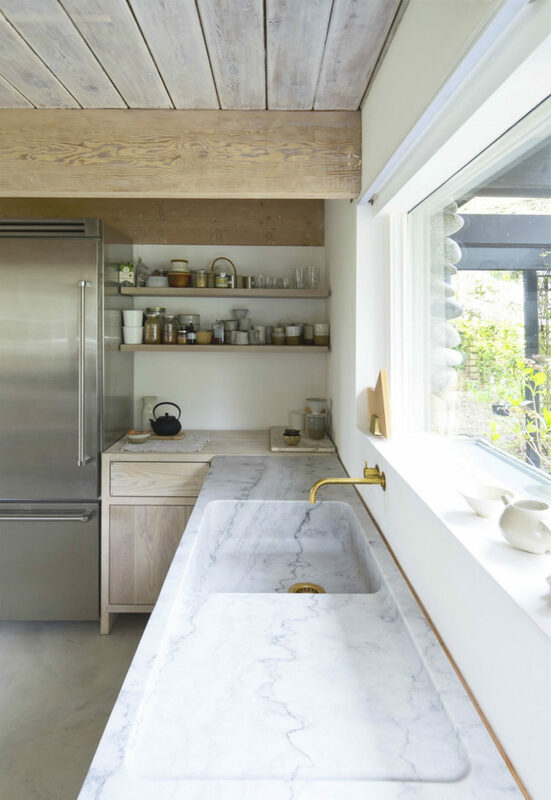 This particular sink looks amazing thanks to the beautiful veiny marble that runs seamlessly from one side of the kitchen to another. Weathered or naturally rough stone texture can add a whole world of dimension to your kitchen design. Double bowl modern kitchen sink designs have their special place in a contemporary cook room. They are simply convenient. 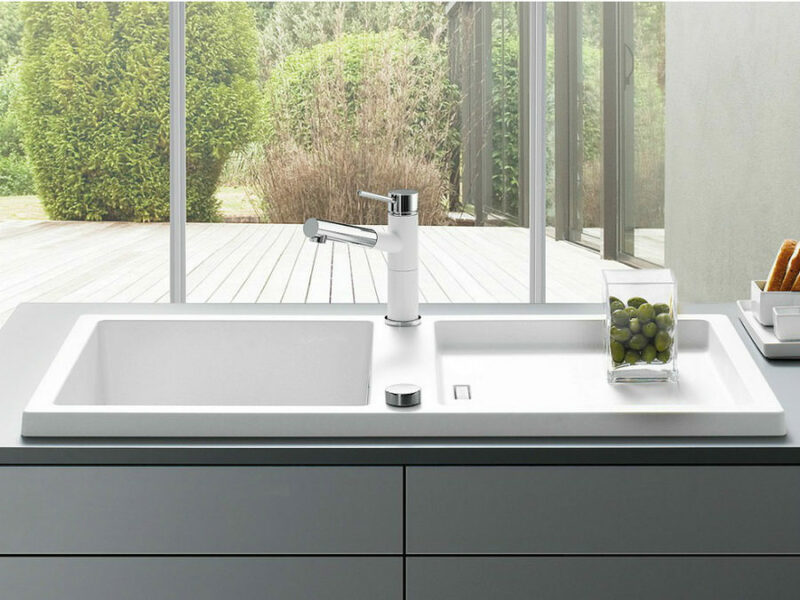 A double basin is perfect for separating fresh produce from dirty dishes. 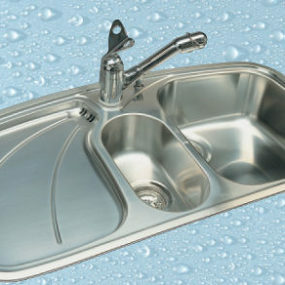 If you are very meticulous about cleanliness, a double bowl sink is the perfect choice. If you don’t want to commit too much space to a sink, a small basin will do for washing foods. Shallow basins may not work well for doing dishes, but they are perfect for washing your fruit and veggies. You don’t have to fish them out of a deep bowl, but let it soak in a shallow dish with a special small drain. It also clearly differentiates between which bowl does what, which can be very helpful for someone other than the host. 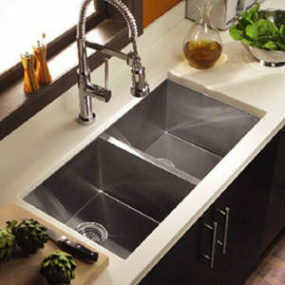 Smaller basins for food also makes sense, when you want a sink with a dish draining surface. It just gives you more bang for your buck. These kinds of sinks don’t have to look completely utilitarian. 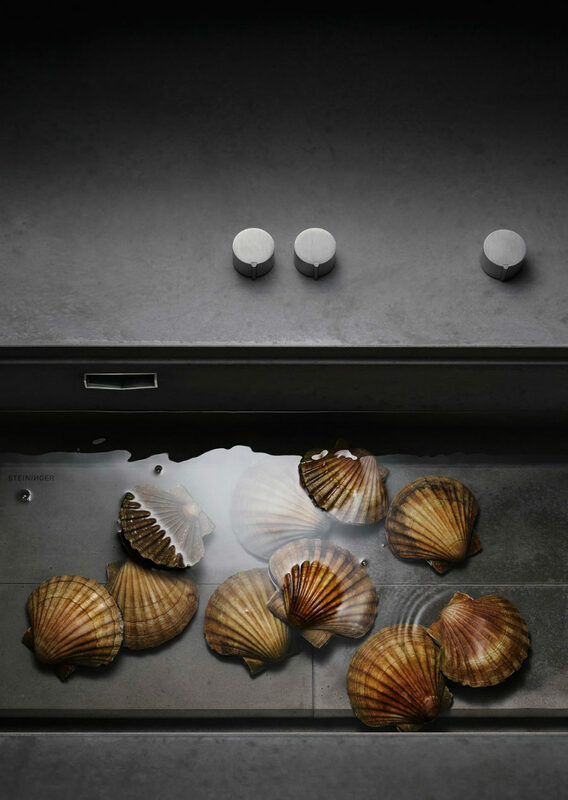 Just take a look at this wave-like ceramic beauty from Villeroy & Boch. 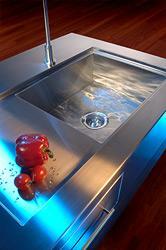 Some modern kitchen sink designs are simply made for those who cook a lot. So in order to make it easier for them, these sinks have a ton of features and functions and then some – kind of like a chef’s dream. 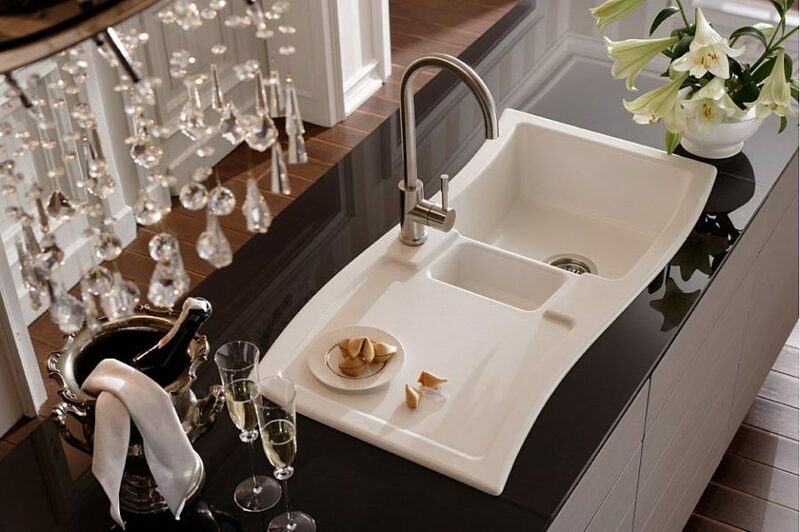 Shallow sinks generally have no advantage over deeper ones, but they may encourage you to do your dishes more often. 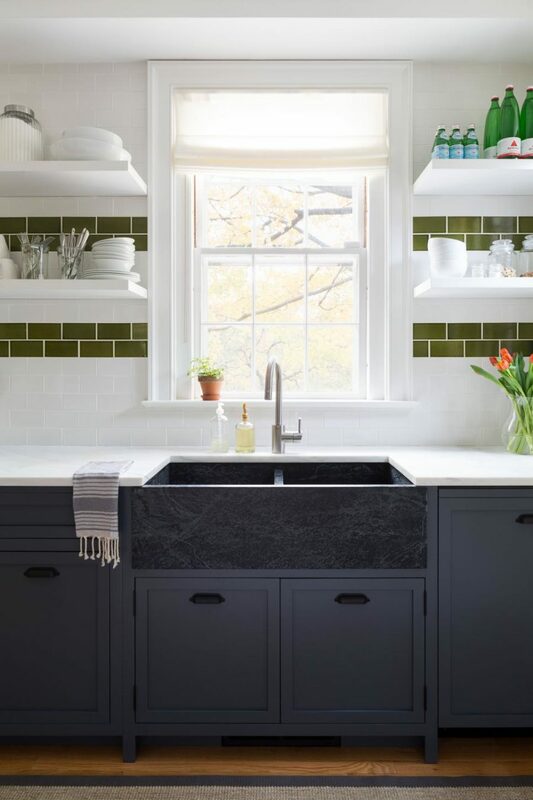 This Corian sink doesn’t look like it can hold too many dishes, but that is a good thing, if you look to keep your kitchen spotless. It also has gorgeous hardware and drain that is just too beautiful to hide. It’s a perfect addition to any contemporary cook room. Your sink doesn’t have to be big depth-wise. 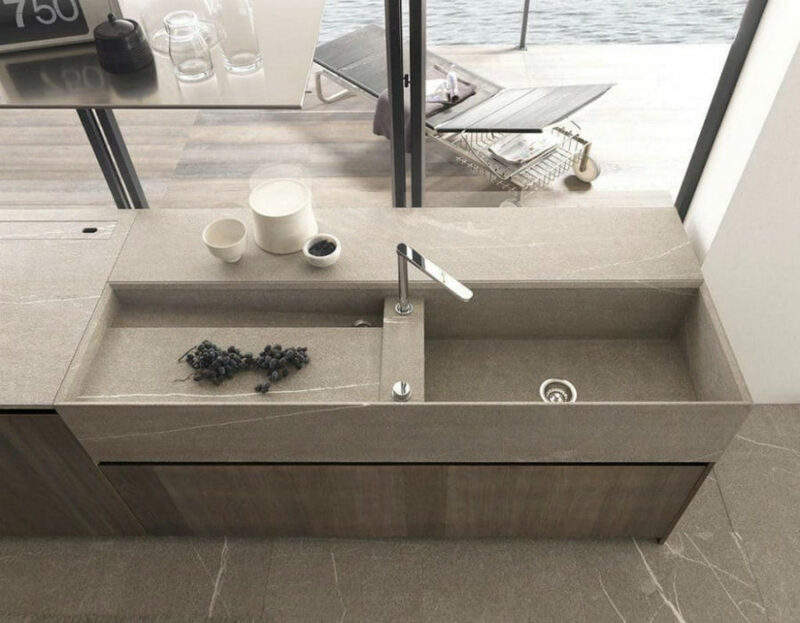 Contemporary approach is to slim things out, so you can find shallower rectangular basins that are spacious enough. A step within the sink makes for a great dish drain. You can also use it to wash produce, if you have a pull-down faucet. 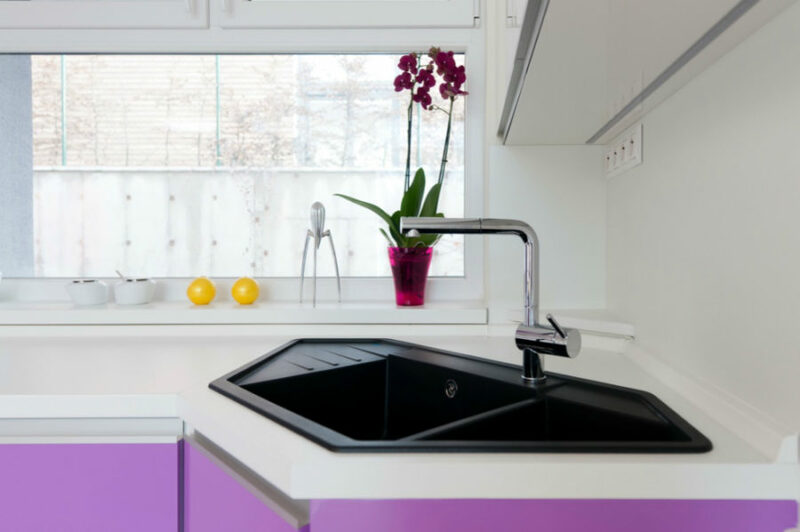 These kinds of modern kitchen sink designs come in all sorts of looks and shapes. 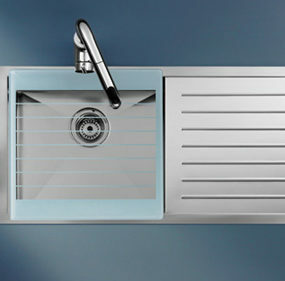 Here is a stainless steel Dornbracht variant. 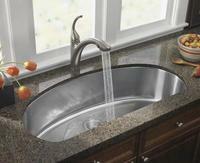 With a pull down faucet, you don’t really need another basin with a separate drain to wash away the produce dirt. 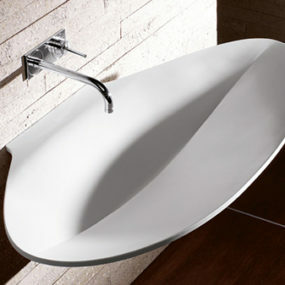 Philippe Starck offers to try this modern basin that is part working surface, part sink. 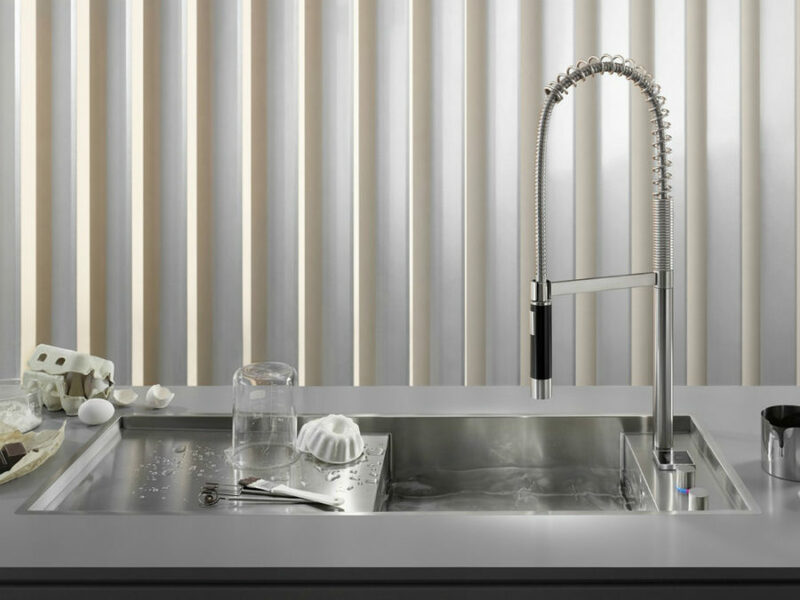 While stainless steel may render it utilitarian, an elegant faucet adds finesse to it. Deep sinks are less tricky. You can hide them inside a cabinet or a kitchen island. They can hold lots of produce or dishes at once, and they can still look pretty. Hammered copper is one of the latest trends in modern kitchen sink designs. They look cool and attractive, and go well with different styles. This particular example goes well with weathered brass of the faucets and untreated wood of the cabinet. 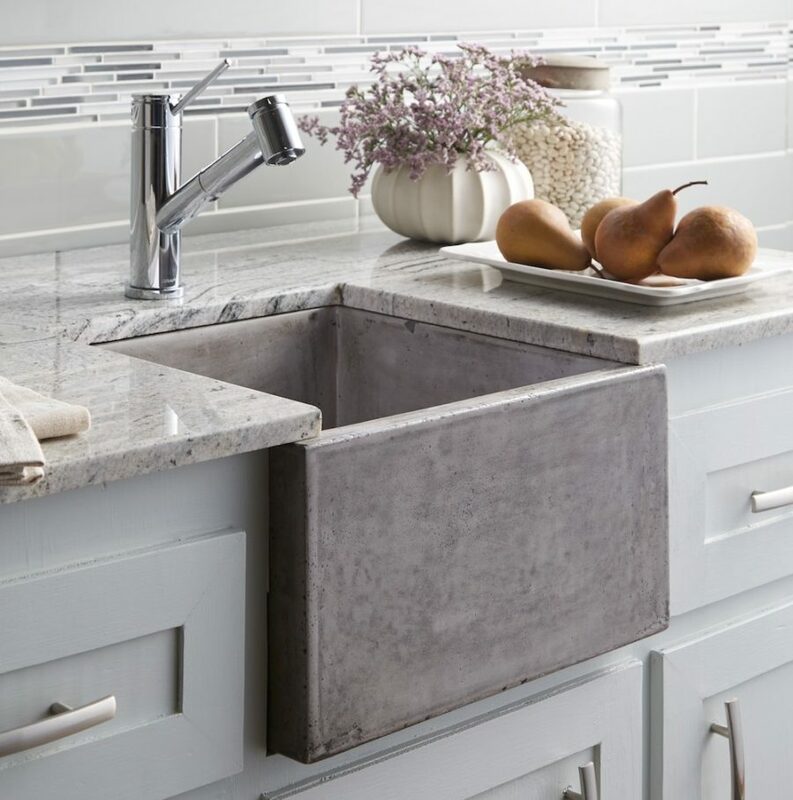 Farmhouse-style sinks can be quite deep, but they also look great, so don’t think twice about taking advantage of the fact. 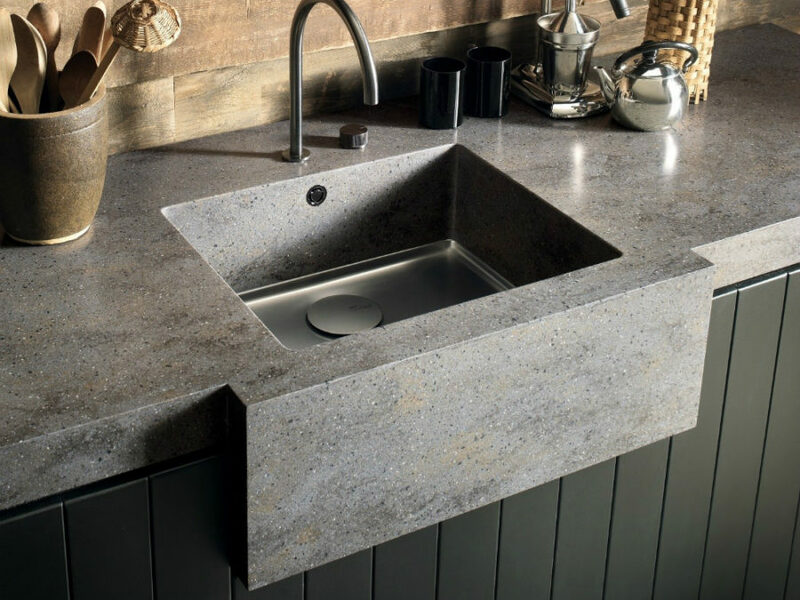 This concrete square sink is not a typical farmhouse sink shape, but it looks quite designing still. Unique modern sinks are still all about functionality. The basin, the faucet, and the drain come first, but they are the core. The rest may vary and look rather unusual. 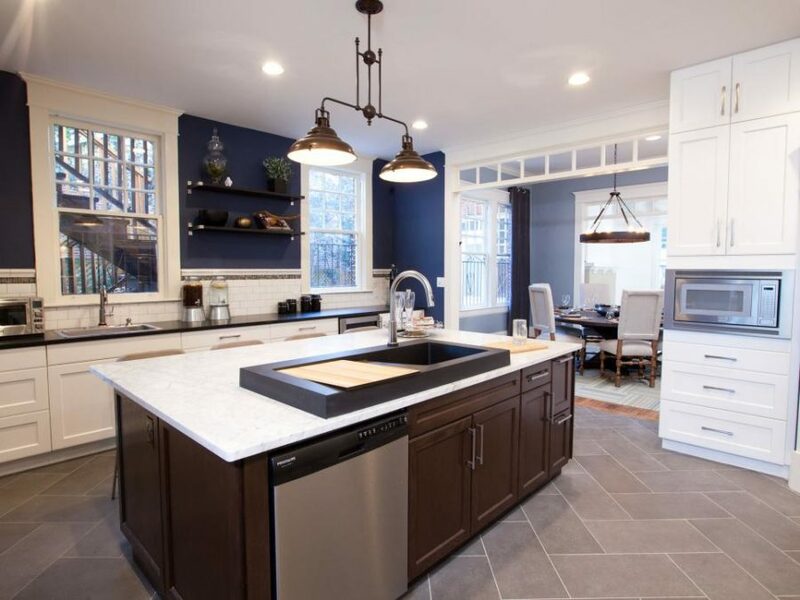 This kitchen sink stands out quite literally because it is only half undermounted, and half of it stands above the surface of the kitchen island counter. An additional area covered with a chopping board can probably be used as a dish drain, but in this position, it’s easy to work with produce. 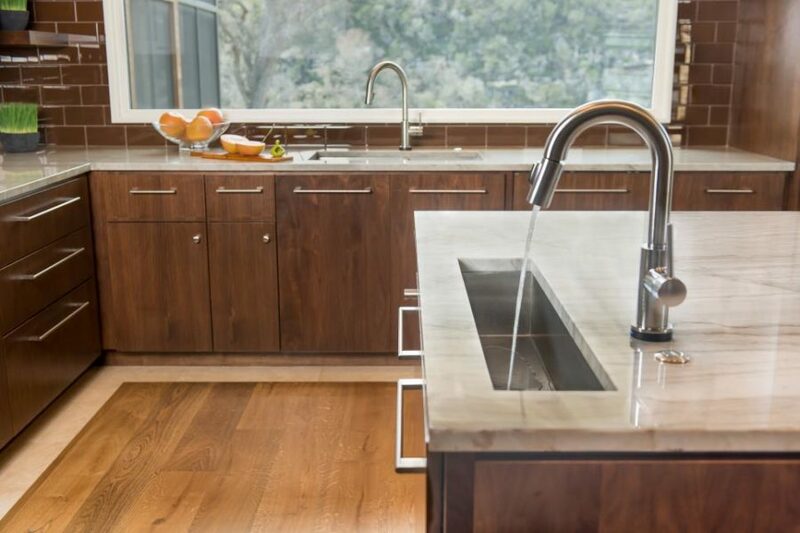 Have you ever seen a waterfall kitchen sink? 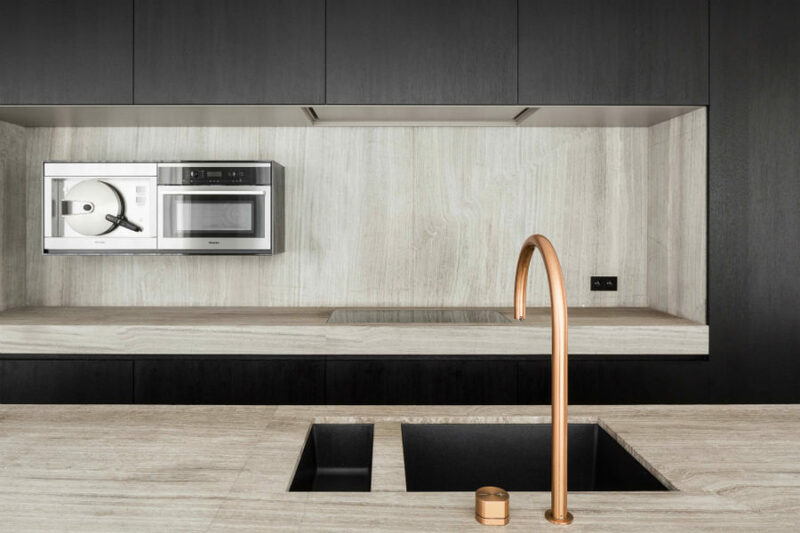 That water flow must look pretty unusual inside the kitchen. While over pouring water flow is generally accepted as most convenient, this might not be too bothersome either once you get used to it. 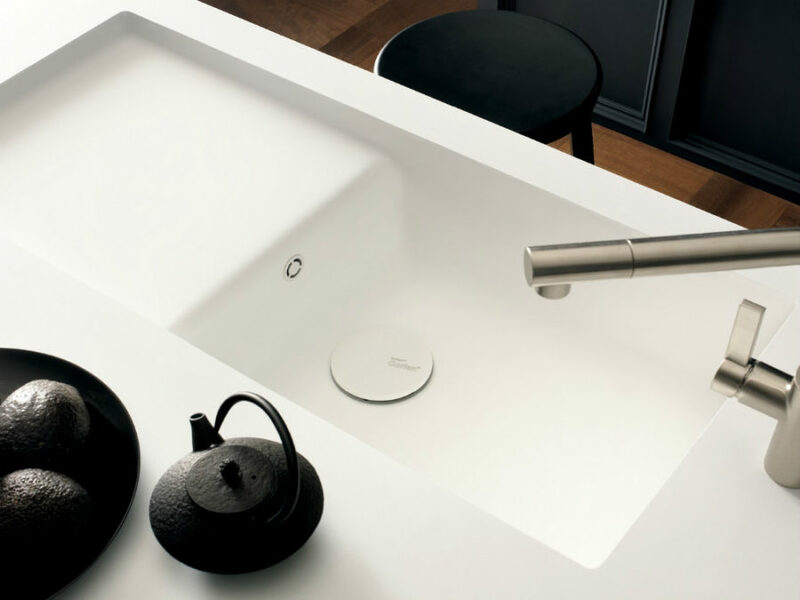 This Boffi kitchen sink is one of the unique ones thanks to its futuristic aesthetic and sleek hardware. Look at that ring of drain, it’s almost invisible. 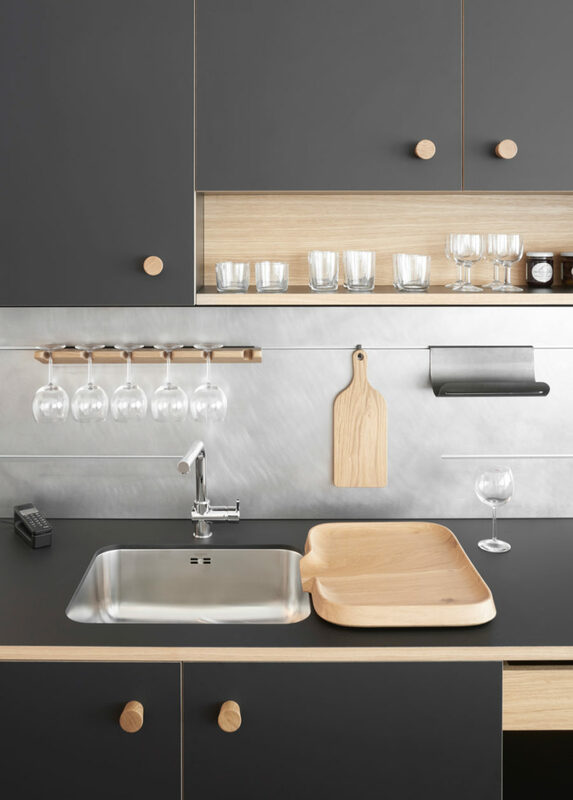 Adjoining elements seem to have been designed for convenience – for keeping clean dishes and bowls. 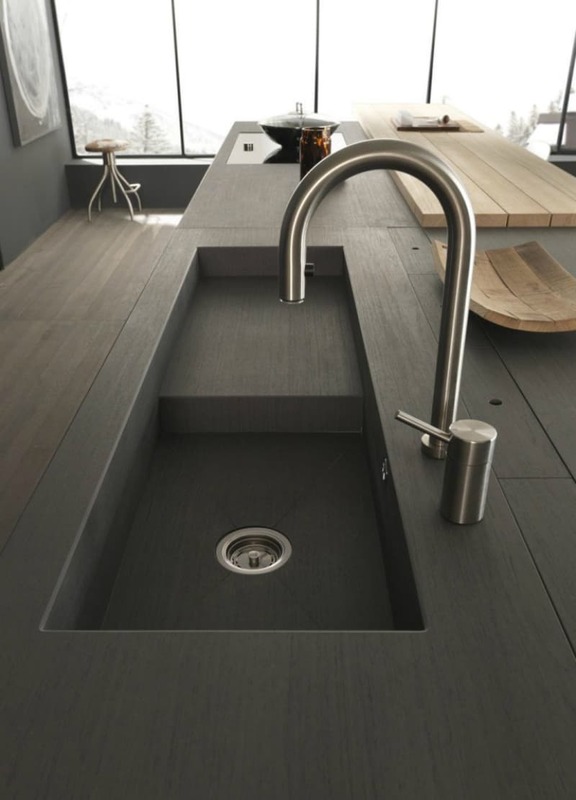 It’s not that rounded kitchen sinks are unique, but this one looks incredibly so thanks to its built-in aesthetic. Sinks of unusual shapes may not always be practical, but when did that stop anyone from using them in design? It’s supposed to look beautiful, isn’t it? While the most modern kitchen sink designs come in a rectangular shape, this is an atypical variant, seeing as it’s incredibly long. A single revolving faucet ensures water access to both basins, one of which looks more like a platform for dish draining. 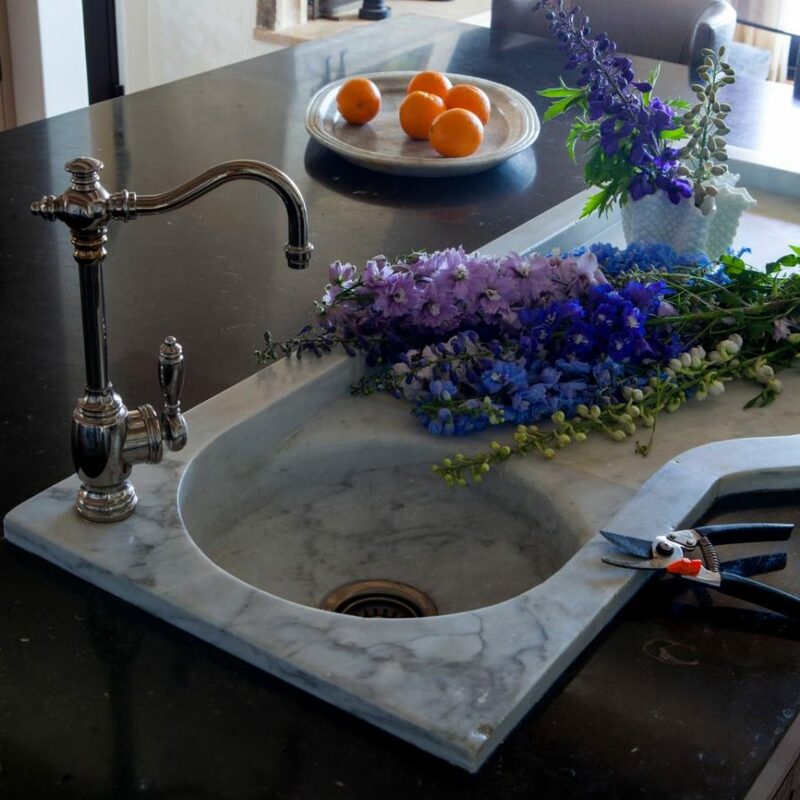 A slim sink doesn’t seem too practical, but it can have its advantages. You wouldn’t want to keep dirty dishes in such a tight spot. 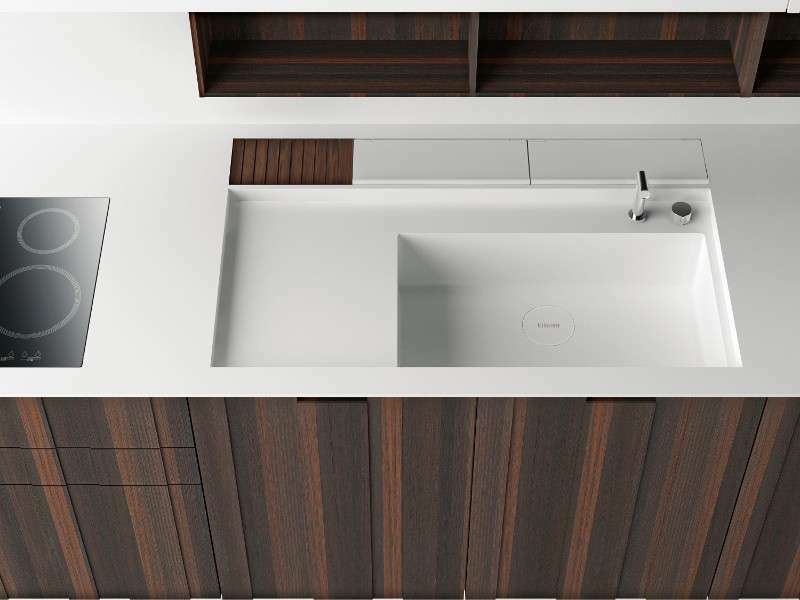 Here, there are two sleek sinks that seem to share different responsibilities. Quite a peculiar design decision. 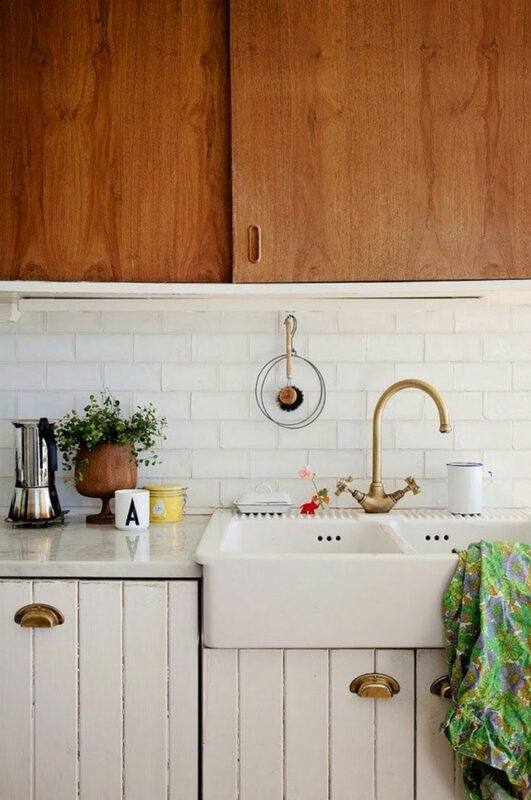 A small square sink seems tiny next to all those double bowl rectangles, but it can really look unusual in a small kitchen. 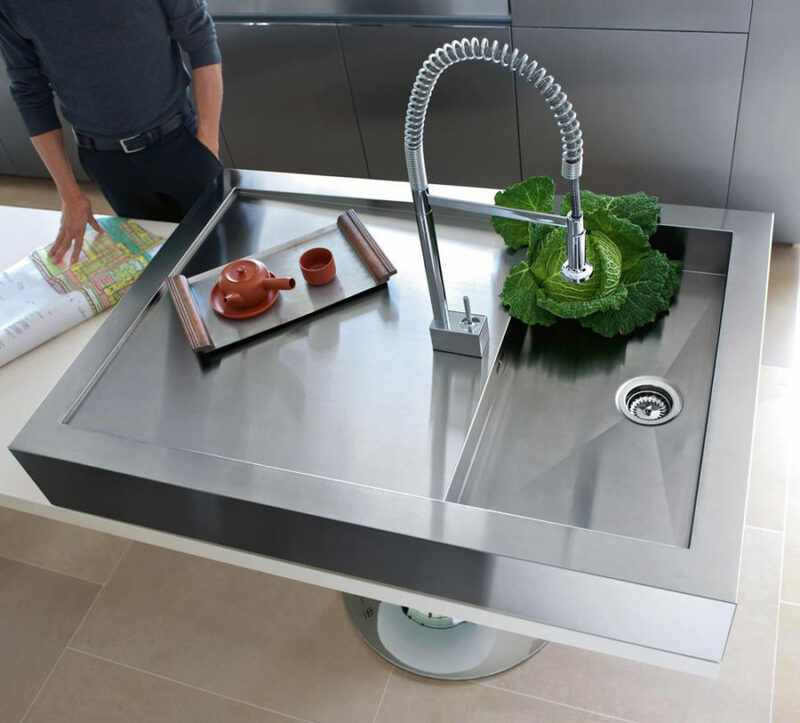 Modern kitchen sink designs can be as beautiful as they are functional. If you want, you can make yours the very focal point of your kitchen, which is especially possible in minimal inexpensive kitchens. Glass and Concrete House Design in Canary Islands, Spain – a view to die for!